Aluminum and copper have the highest thermal conductivity among common metals (205W/mK and 401W/mK versus say 50W/mK for steel) and are easily the most frequently used materials in the making of computer heat sinks. Although copper is superior at conducting heat, aluminum performs respectably while being cheaper, lighter and easier for manufacturers to work with. Although they aren't practical materials for producing computer heat sinks, silver exceeds copper's thermal conductivity at 429W/mK (hence Arctic Silver thermal paste), diamond brings that into the thousands at 2300W/mK (and likewise hence IC Diamond thermal paste), while early measurements of graphene puts it at 5300W/mK. 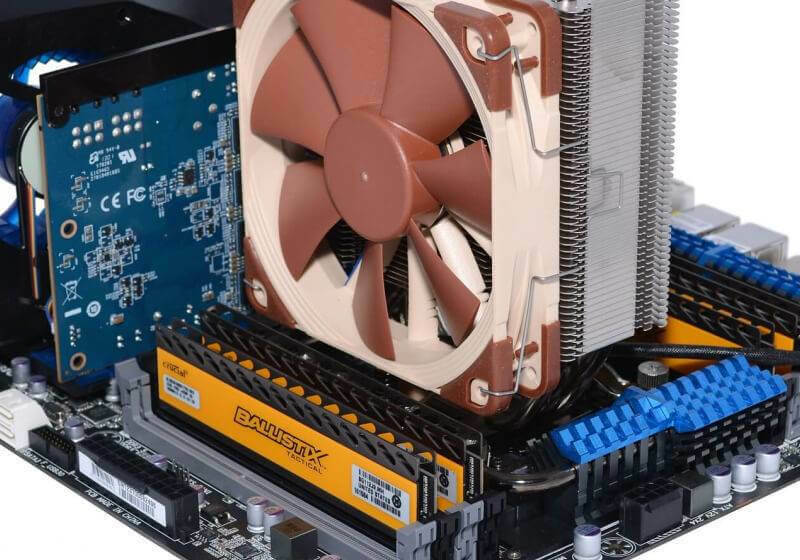 Less popularly, graphite has also been used in the production of PC heat sinks when a manufacturer wants something lighter than both copper and aluminum with thermals that land in between.